Here you can configure settings for the password and security. It will restrict the user password length when adding an user account or changing the password. When enabled, user needs to change his password on the first logon, under the web client only. You can specify the password complexity by choosing the following categories. If a client tries to hammer this server, the server will send a message to him/her. The counter will monitor the login tries and count them, if the number of failed login tries during the period is exceeded, the user IP will be banned for a period of time as defined. 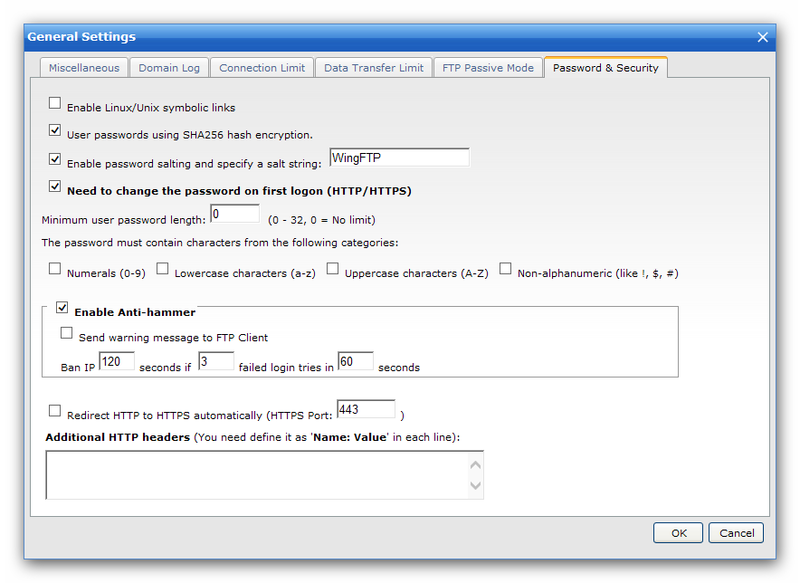 The user passwords use MD5 encryption by default, if you enable this option, the user passwords will use SHA256 encryption.